"People of the country is getting the evidence of the mega-loot that is being done by this government while imposing a mega-misery on common people's economic livelihood, Mr Yechury said. Alleging that the people are getting greater evidence of its corruption and cronyism everyday, he claimed they will vote on the basis of their day to experience under the current government and not basis of some "emotive appeals" made by PM Modi and his party. "People of the country is getting the evidence of the mega-loot that is being done by this government while imposing a mega-misery on common people's economic livelihood. This is the balance sheet of the current government. 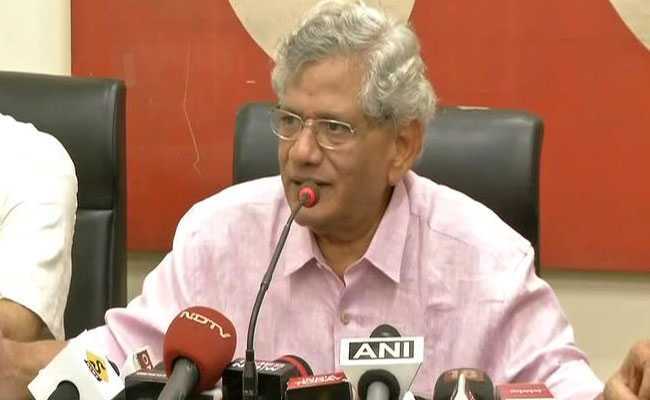 This will determine the election," Mr Yechury told reporters. "This connects to the electoral bonds.. Now the Supreme Court has asked the banks to furnish details about who paid how much electoral bonds to which party. So it will know which are the companies involved in buying electoral bonds. Soon the public will also know about it," Mr Yechury said.